iOS 12 has been enhanced to speed up the things you do every day. iOS has been renovated for improved performance on even older devices such as iPhone 5s and iPad Air. Last year, Apple introduced an animated emojis called Animoji. Memoji in iOS 12 is a new type of Animoji. 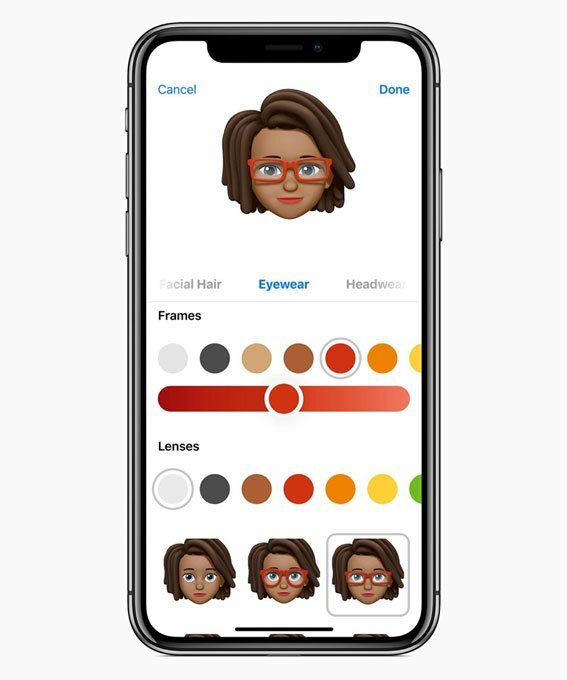 You can create an emoji that fit your characteristics: skin, hair, head shape, eyes, brows, nose, lips, ears, facial hair, eyewear, and headwear. You can use it as a custom avatar in iMessage and FaceTime to represent you. 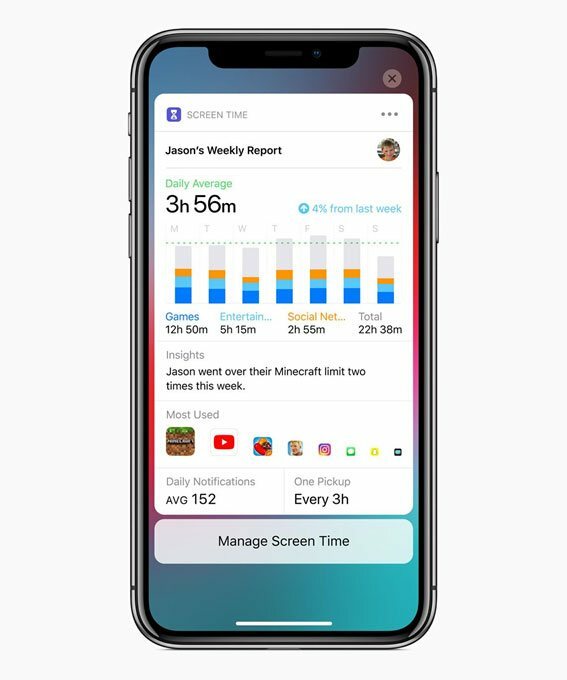 Screen Time provides users with detailed information and tools to understand and make choices about how much time they spend using apps and websites. Activity Reports shows the total time spent on each app, app usage, notifications, and device pickups daily or weekly. Message threads and notification topics are grouped together, so it’s easier to view and manage multiple notifications at once. 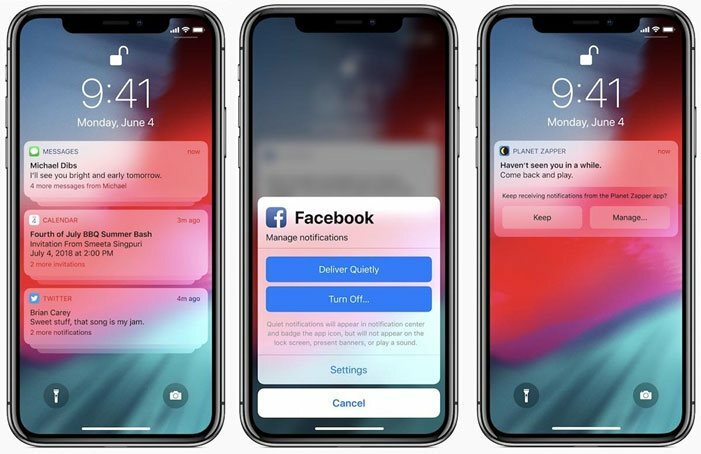 iOS 12 gives more options to control your notification settings the moment you receive an alert, without having to leave what you’re doing. Within an Instant Tuning, you can instantly manage notifications to be delivered quietly or turned off completely. 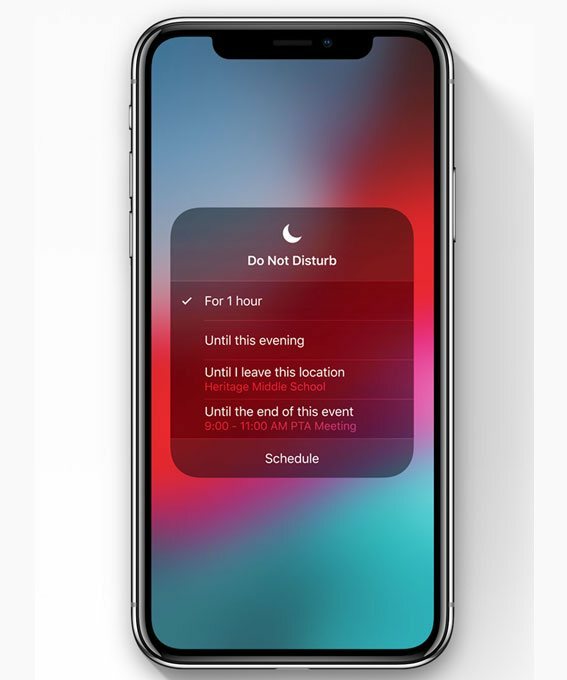 New modes in Do Not Disturb automatically end in an hour, at the end of the day, when you leave a certain location, or at the end of a meeting on your calendar. 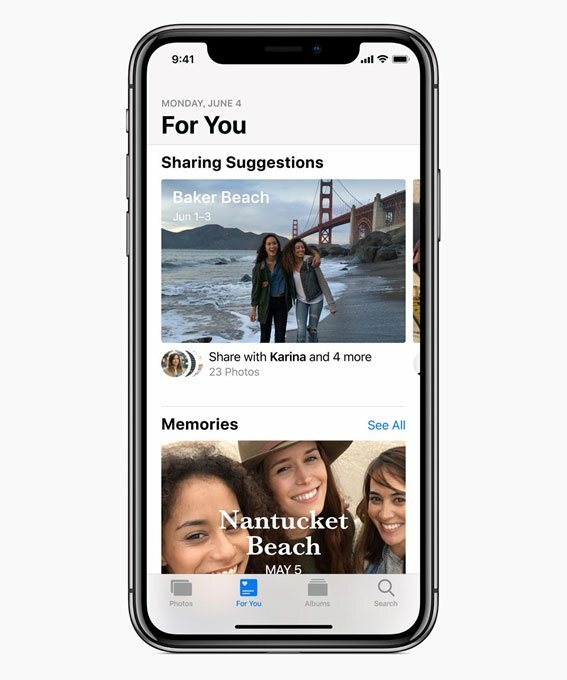 An all-new For You tab surfaces favorite moments in a single destination, combining Memories, iCloud Shared Albums and the best moments in your library. Featured Photos show some of the best photos in your library. Memories are a list of automatically generate movies from your photos in the library. New sharing suggestions, the feature make it easier to share photos with the people who are in them. Sharing Suggestions give you an option "Share with friends?" 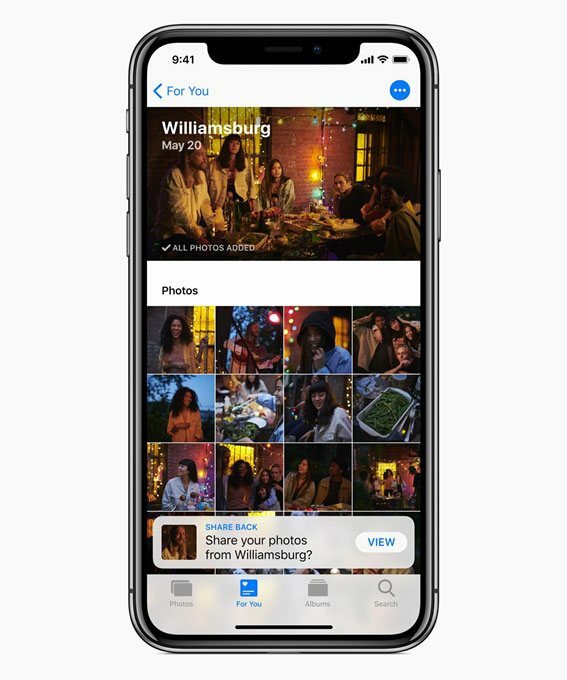 or suggests you share with someone recognized in photos. 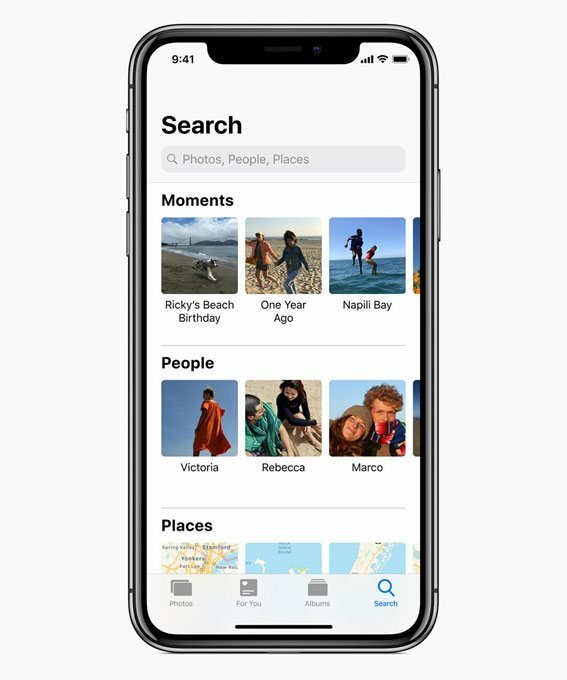 Thanks to ML and AI, now you can search for many categories and keywords or joint search items to find just the right photos. Your device will automatically suggest strong, unique passwords for each website and app where you need to create a login. Reused passwords will be flagged in the password list, so you can quickly navigate to the application or website and replace it with a strong password generated automatically. For apps that give two-factor authentication, requiring a code to be sent via text for confirming the login, the text message will automatically be read in iOS 12, completing the login process. iBooks app has been completely redesigned to make it easier to discover and enjoy books and audiobooks. 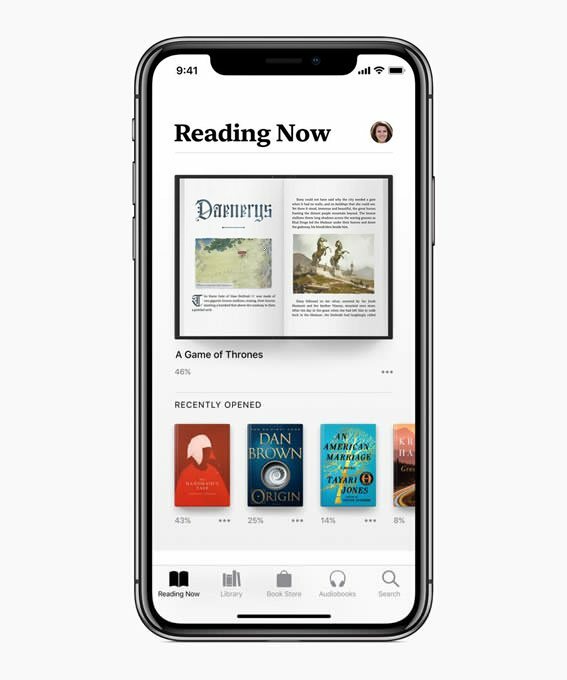 It's been renamed Apple Books in iOS 12. 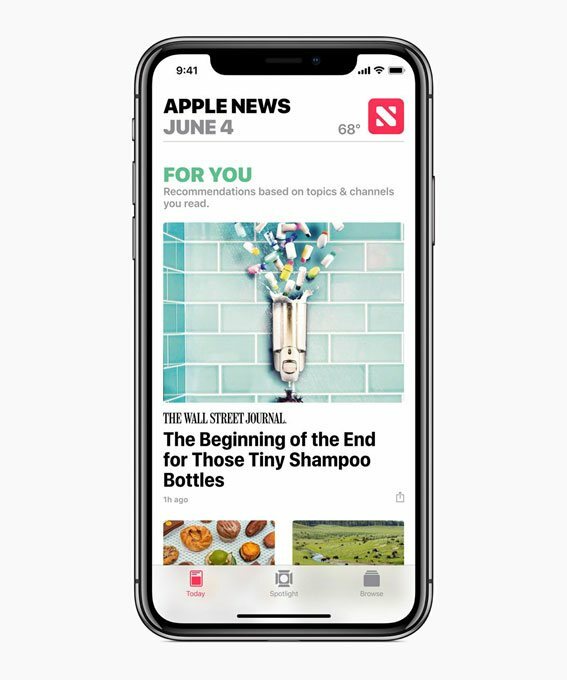 The Apple News app got some changes in iOS 12. Its navigation was redesigned to make it easier to discover news stories. 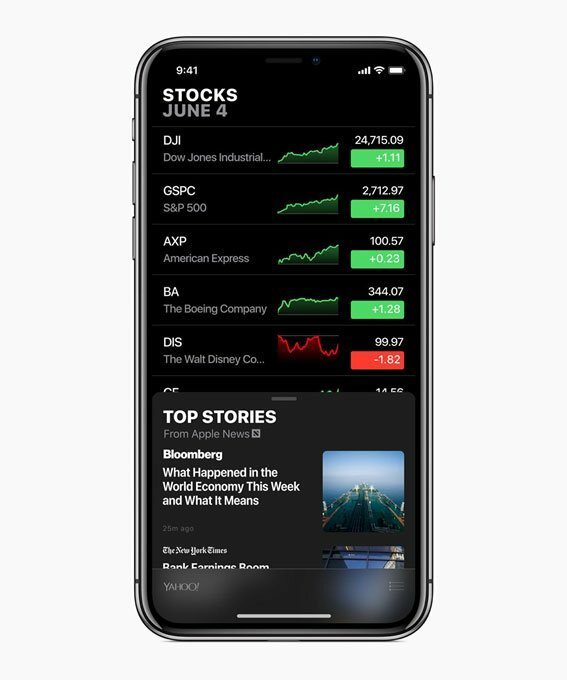 The Stock app was updated with a new design and finally available on iPad in iOS 12. Now it shows you relevant news included business news and other business metrics, like extended trading. 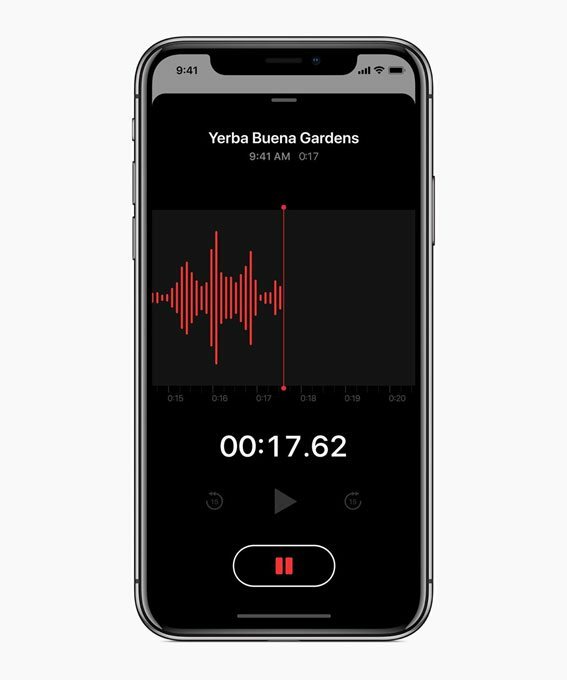 Same with a Stock app, Voice Memos was updated with a new design and finally available on iPad in iOS 12 also. Now iCloud Syncing will allow you to access and synchronize your recording across all your devices. Siri is becoming a lot more powerful in iOS 12. 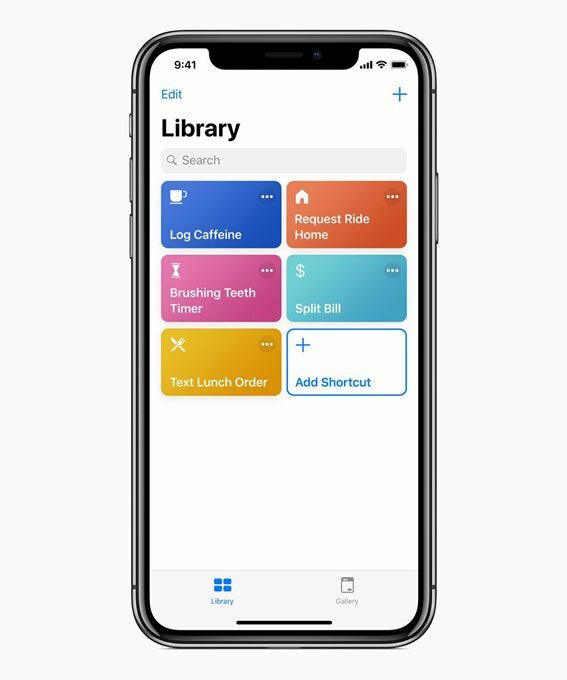 The previous Workflow app that Apple acquired last year is replaced by Shortcuts. A new feature integrated with Siri to help you get common tasks done faster. There are a couple of recommended easy ways accessible to you in Siri's settings. Moreover, you can build your own custom shortcuts. In iOS 12, Apple allows third-party navigation apps to support CarPlay. Now you can use Google Maps or Waze right in your car's built-in display. With both of them, you'll be able to sync search history and directions from your iPhone to CarPlay. 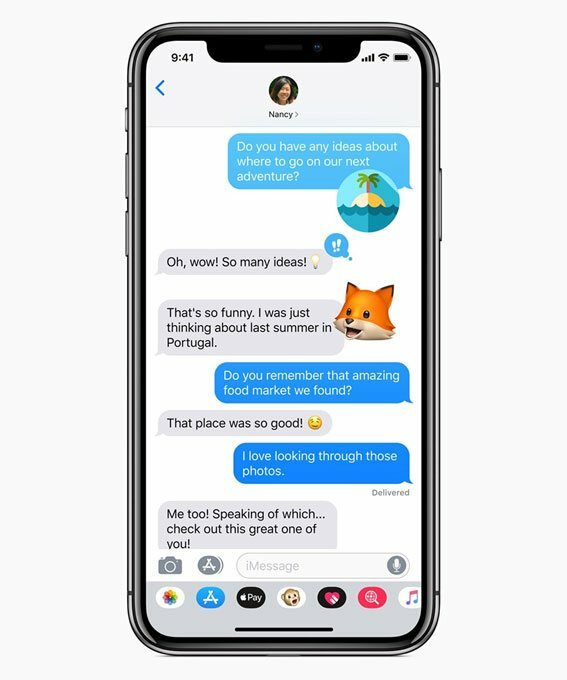 We’re happy to share recently released iOS 12 best new features for his apple devices fans. This article shared by iOS App Development Company India.